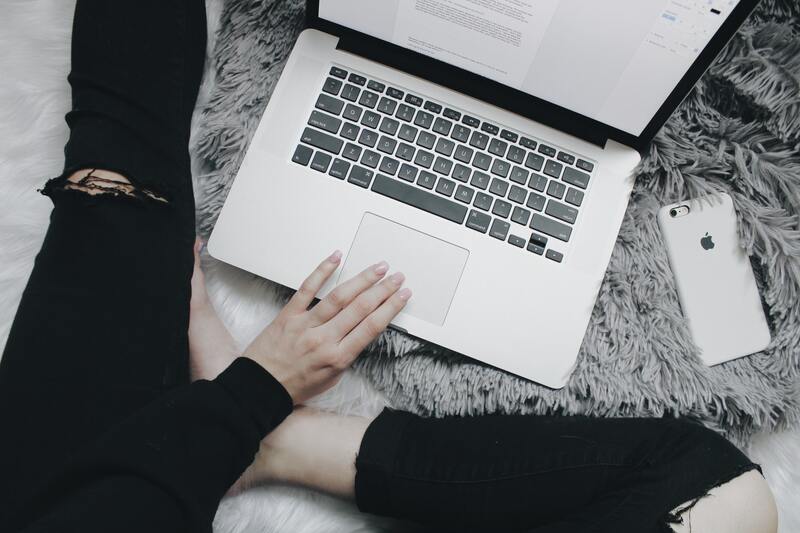 Up until recently my obsession was with makeup; I saw skincare as a bit of a boring old necessity (and in all honesty was something I quite resented spending money on, when in my mind it could be going on makeup instead). This has well and truly changed lately, I've found a nice balance of products that work for my skin and am loving seeing it change for the better. 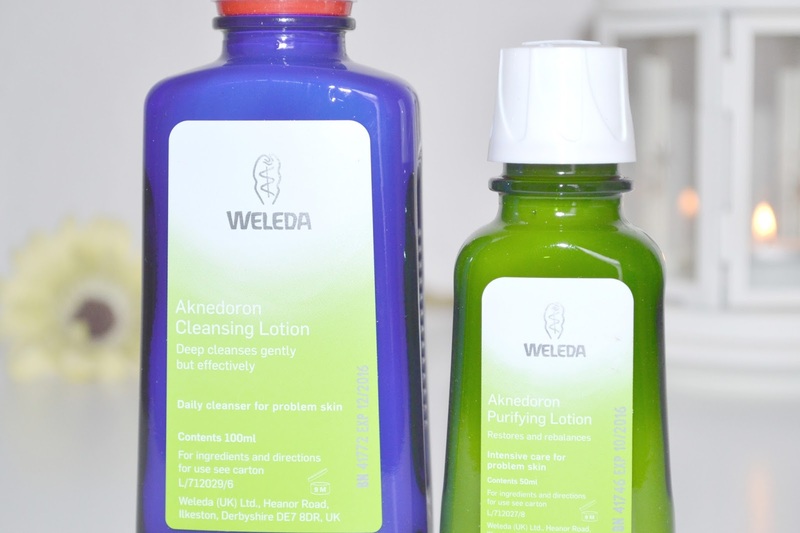 Two new products that I've incorporated into my routine are from Weleda's 'Aknedoron' range which are aimed at acne sufferers. While I don't have particularly problematic skin (redness and dullness are my two biggest issues, ughh) they've still contributed to a huge improvement to the overall way my skin looks and feels- I'll definitely be placing a Weleda order as soon as these start running low! Aknedoron Cleansing Lotion (bit of a mouthful!) is a daily cleanser which gently and effectively freshens the skin. I use this on freshly washed skin in the place of a toner, just a couple of drops on a cotton pad does the trick. This one smells quite nice, it contains essential oils of orange, grapefruit, lavender and rosemary as well as calendula, chamomile, sunflower and olive oil. All ingredients are natural, and are able to cleanse the skin without stripping the natural oily layer. I'd definitely agree with this, unlike most products aimed at acne it doesn't feel harsh or drying. In fact some products I've tried in the past that were aimed at acne have actually given me spots, so I'm glad that wasn't the case with this. To follow up the cleansing lotion, you apply the Aknedoron Purifying Lotion. Not only does this calms and sooth irritation (just the job for blemishes) it actually stimulates the skin too which has the benefit of restoring blood flow to regulate problem skin. This one again contains all natural ingredients- sage, thyme, lavender, calendula and chamomile. It also contains witch hazel which is a mild astringent along with sulphur. It's slightly thicker in consistency than the cleansing lotion (and doesn't smell as nice either, must be the sulphur!) but feels just as gentle and refreshing. After using both products my skin just feels so nice and clean, but unlike most toners (which contain painful drying alcohol) it doesn't feel tight and uncomfortable. All in all I highly recommend this two step system, don't let the drab packaging put you off as what's inside works wonders! Have you tried anything from Weleda? I've only heard of the hand food/skin food? These sound really nice though. I used to not be interested in skin care, but lately, my skin care products have increased immensely, haha!